In this episode, Jeff checks out the 2014 vintage of Beaujolais Nouveau with this sample from Gorges Duboeuf. How did you celebrate #BeaujolaisNouveauDay? What was the last wine that totally eclipsed your expectations? Leave a comment, and let us know. This entry was posted on November 20, 2014 at 7:57 pm and is filed under Stay Rad Wine Blog TV, Wine. You can follow any responses to this entry through the RSS 2.0 feed. You can leave a response, or trackback from your own site. I have to say this might be the first video where I didn’t wander off three minutes in. Gen Y mentality- nothing personal! You’re enthusiasm was making me giggle and I entertaining! That bottle was, something like $8.99 at the Trader Joes in Napa. I almost bought it because I’d seen you post about it. Alas I was also near the cheesecake aisle. 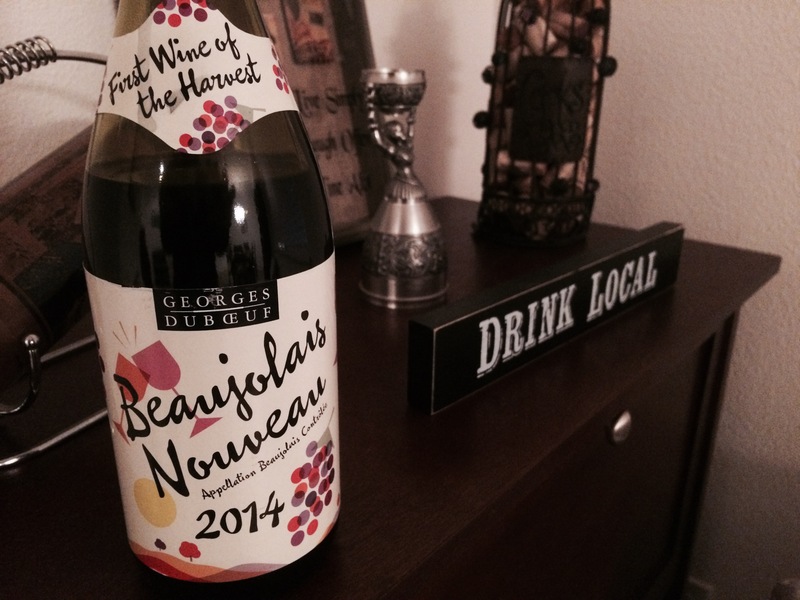 I have a good video opener for you “Hey, I have a new Beau!… Beaujolais!” corny… i know. Ha! Glad you enjoyed it. Hopefully you’ll get a chance to taste it before year’s end… Nobody can eat that much cheesecake.